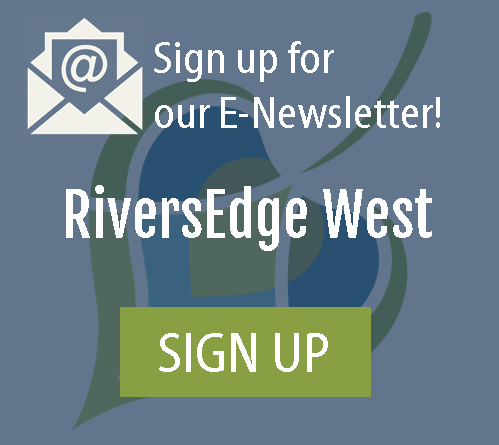 Since 2001, RiversEdge West has been conducting riparian restoration research conferences and symposiums with a focus on impacts to riverside habitat in the arid western U.S. These gatherings are driven by RiversEdge West's commitment to advance the knowledge and practice of riparian restoration. The primary goal of these conferences is to share the latest scientific findings in the field of riparian restoration with practitioners, students, and researchers alike. Additionally, conferences serve to connect the people that manage impacted lands with the techniques, findings, and products that help make restoration successful. These venues also serve as a valuable networking opportunity to build relationships that foster innovation, collaboration, new projects, and advance research. Most presentations at our conferences and symposiums are recorded and made available for viewing online on our YouTube page as a video or PDF. These presentations are also organized by topic and application within the Resource Center. Have you ever attended one of our conferences or thought about attending? We want to hear from you! Take our conference survey and help us shape the direction of future conferences. Your opinion is important to us! RiversEdge West’s first Board President, Pete Larson, was recognized by many for his unflagging dedication to science and the stewardship of our natural environment as he positively influenced countless youth through his teaching at the high school level. The $500 1st President's Award award is given in Pete's memory to an individual or organization present at our annual conference that exemplifies his values for science, education, and the natural environment. The individual or organization is nominated for the award by conference attendees. 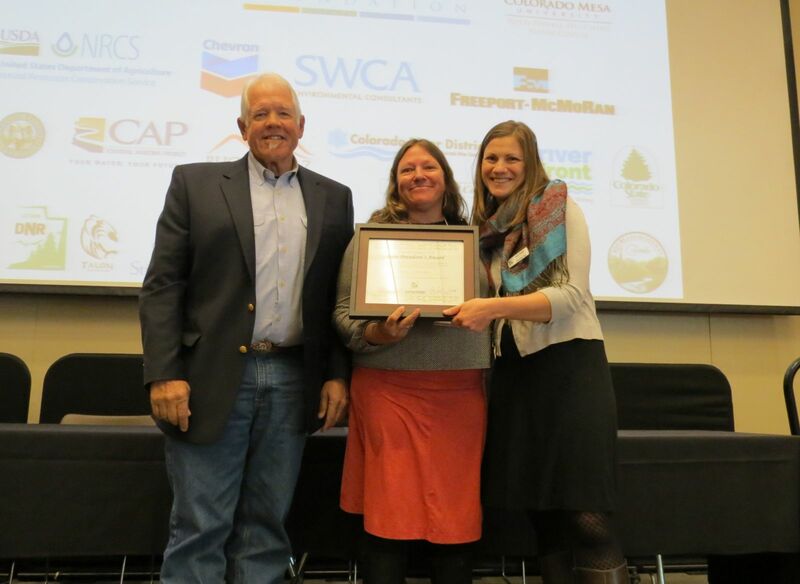 Anna Schrenk, with Friends of the Verde River, accepts the 2018 1st President's Award from Board President, Tom Burke, and RiversEdge West's Director, Stacy Beaugh.